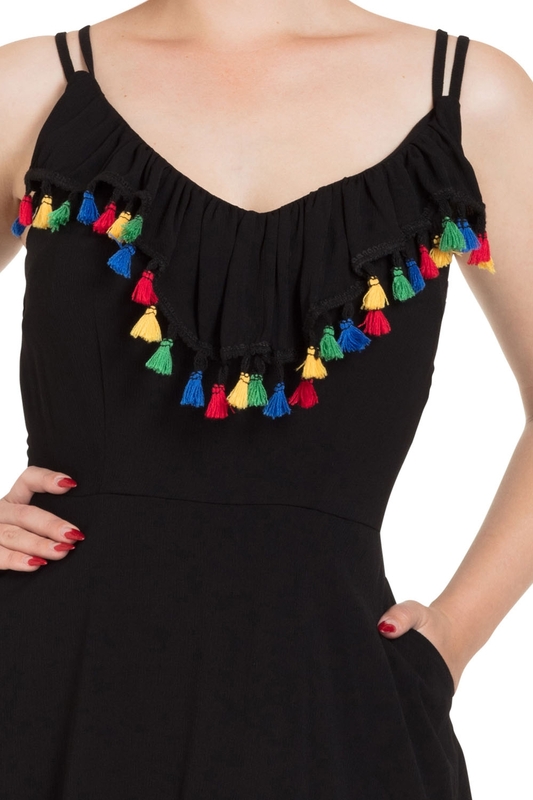 Veronica has the ruffles and the pom-pom trim that say sass as much as they say ‘summer ready’! 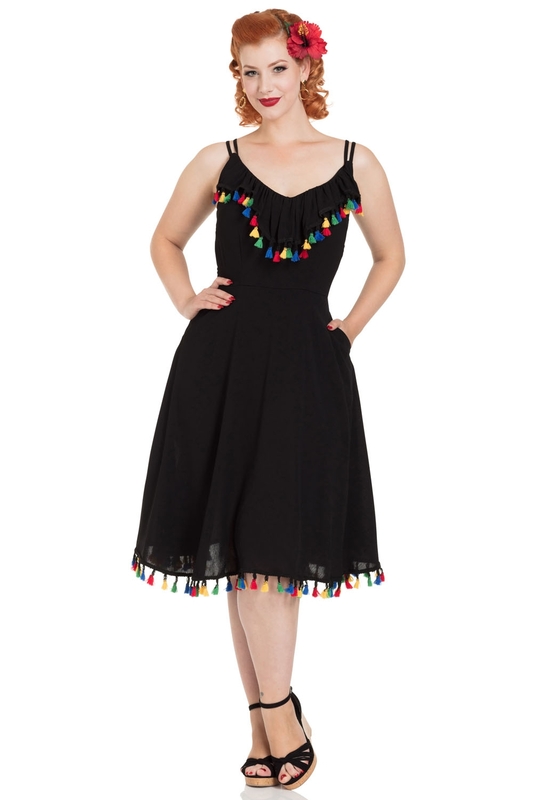 Embrace the classic black look but with a fun and fabulous pop of colour with our Veronica dress this summer, and be prepared for the inevitable strutting and shimmying this dress might encourage! 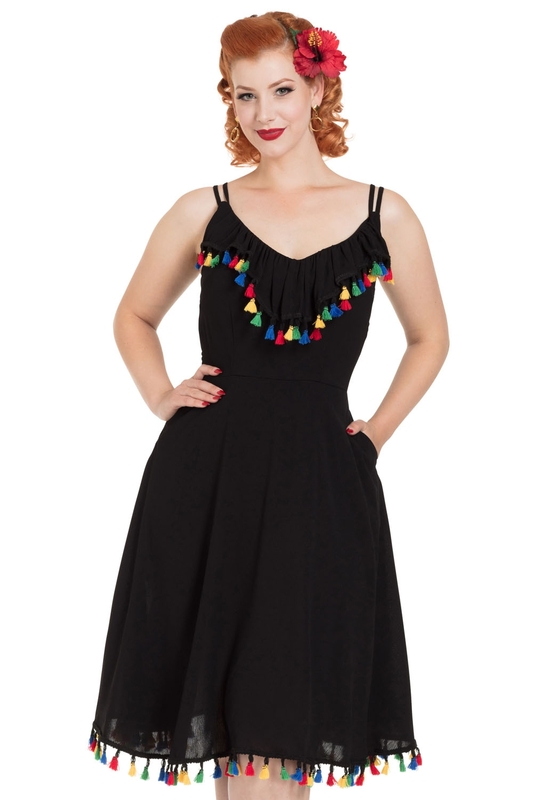 Love the look?Veronica also comes in a gorgeously deep red with black pom-poms!